South Korean industry insiders claim that a potentially wide-ranging partnership deal with Israel’s Hexa could be behind the meteoric rise of Coinbit’s DEX token. 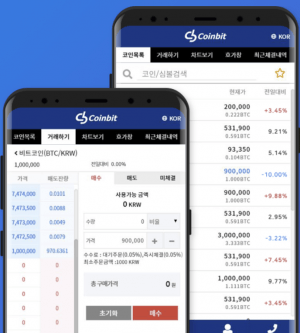 At the time of writing (UTC 05:50 AM), South Korean Coinbit’s DEX is ranked as No. 49 by market capitalization, with a 24-hour increase peaking at around 20%. The price jumped by 54% in a week. 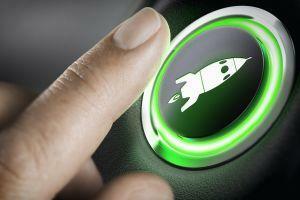 However, the coin is still 46% down, compared to its heights in November. The company announced that its DEX coin would be listed on South Korean exchange platform CoinZest as of December 13. The token is also listed on IDAX, as well as Coinbit’s own exchange platform. Per eDaily, Hexa signed an MOU (memorandum of understanding) with Coinbit last month, followed by a more formal partnership last week, with a view to investing in the company’s DEX token. eDaily quotes a Hexa spokesperson as stating, “We have made a large initial investment that will allow us to explore DEX’s growth potential. We are in negotiations over a second large-scale investment." Edaily points out that the Hexa Group, which also operates the Orbs platform, is Israel’s “biggest blockchain company,” and also comprises a financial arm, a foundation and a consultancy business whose funding totals USD 680 million. Indeed, Hexa has been extremely active in the South Korean market in recent months, and has struck key deals with some of the country’s most serious blockchain players, including Samsung SDS, the arm of the Samsung Group that has been spearheading Samsung’s blockchain technology efforts, per media outlet MBN. Hexa has also sealed partnership deals with the Kakao Group’s blockchain arm, Ground X, as well as ecommerce platform Ticket Monster (TMON). Hanguk Kyungjae also reported that Hexa sealed an MOU with South Korean blockchain incubator BRPartners back in September. Bitman, one of South Korea’s most influential cryptocurrency and economics bloggers – eerily, perhaps – predicted DEX’s rise exceptionally accurately in a post dated November 8. The blogger posited that Coinbit was set to benefit greatly from the Hexa partnership, which would allow it access to much-needed technological expertise, possibly comprising Samsung SDS support. “Come back and take a look at this post in a month’s time and you’ll see what I’m talking about,” the blogger wrote. The platform also suffered a DDoS (distributed denial-of-service) attack, which disrupted service for a short time in November. It was also threatened with legal action over allegations of so-called “cage-pumping” marketing tactics earlier this year, along with rival exchanges. NToday also reports that a disgruntled user has been attempting to sue the company after the user was allegedly stripped of his funds due to a possible bug – with no compensation forthcoming. None of this news, however, seems to have deterred investors. Coinbit did not respond to a request for comment. 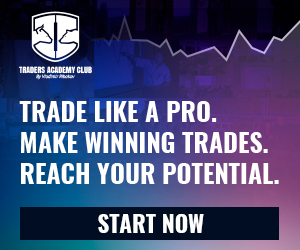 Previous story Melius Review: $50,000 passive forex trading account for $3000?